I will customize a bracelet with your favorite dog! Bracelets are made in the USA! I will customize a bracelet for you. Please leave full details of colors, wording and charm. 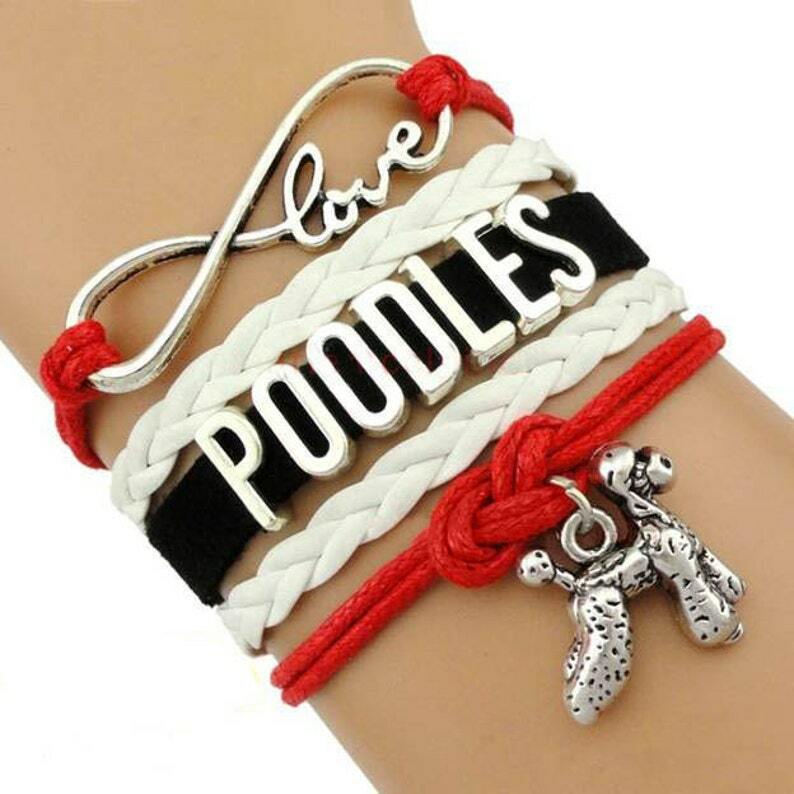 These bracelets are perfect for all dog lovers. Show off your favorite dog by wearing this cute Infinity Love Bracelet! All bracelets are handmade and will ship in 2-3 weeks! This bracelet takes 2-3 weeks for delivery!